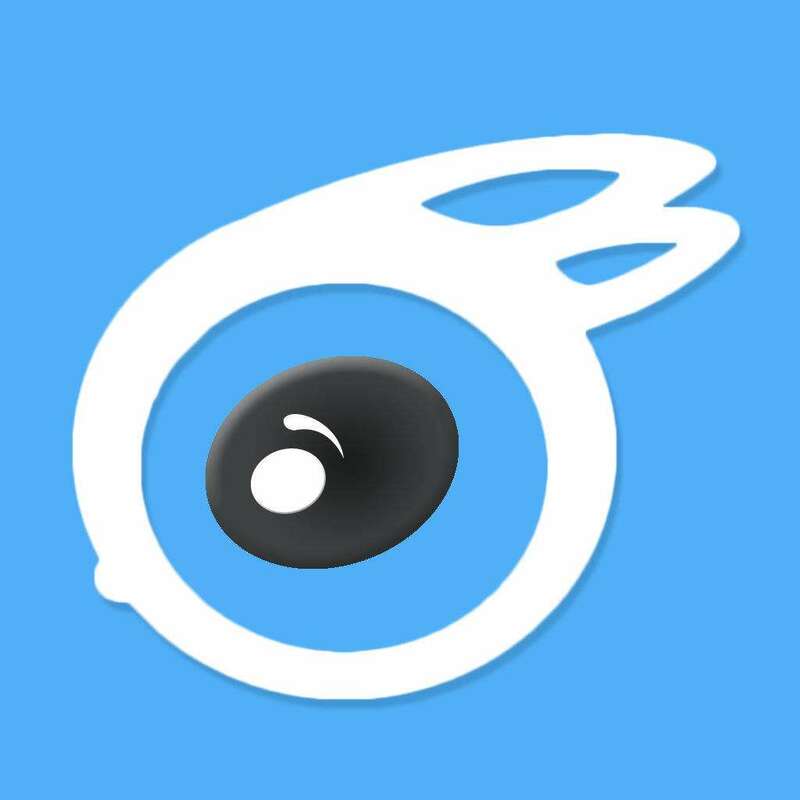 W hen you install iTools or iTunes in Windows, you will get three bundled programs, namely Apple Application Support (32-bit), Apple Application Support (64-bit) and Apple Mobile Device Support. After you remove iTools or iTunes, you will need to remove these three by performing similar steps. Not sure what to do? Check the following guides. Quit the iTools program from running in the background no matter what. It may not be necessary towards the removal of some programs, but just in case. 2. 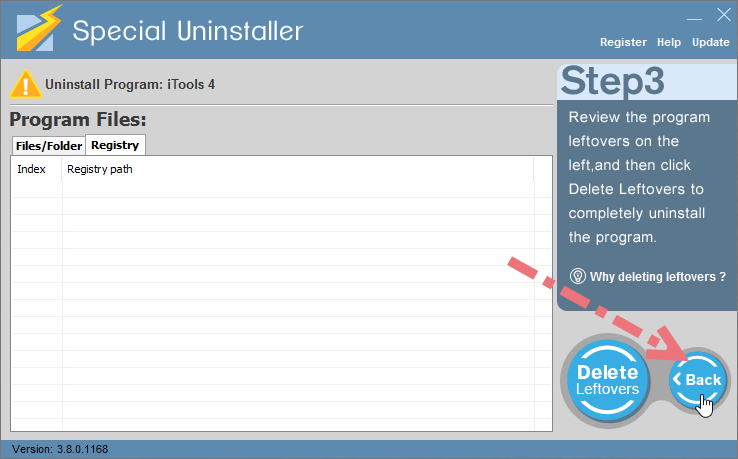 Remove iTools by activating its built-in uninstaller (2 Options). Click Start > enter “control panel” in the search box, then click Uninstall a program / Programs and Features > Double-click iTools to activate its default uninstaller. Then you can go through the same steps to remove the three mentioned bundled programs. If you choose not to remove them, skip Step 3. 3. Open the Windows Registry Editor. Click Start > enter “regedit” in the search box. A lot of keys named after the program’s name or as a mix of numbers and letters that probably make no sense that belong to different programs are contained in the Uninstall folder. Check if you can see this folder: HKEY_LOCAL_MACHINE\SOFTWARE\iTools. If found, delete them to completely remove iTools. 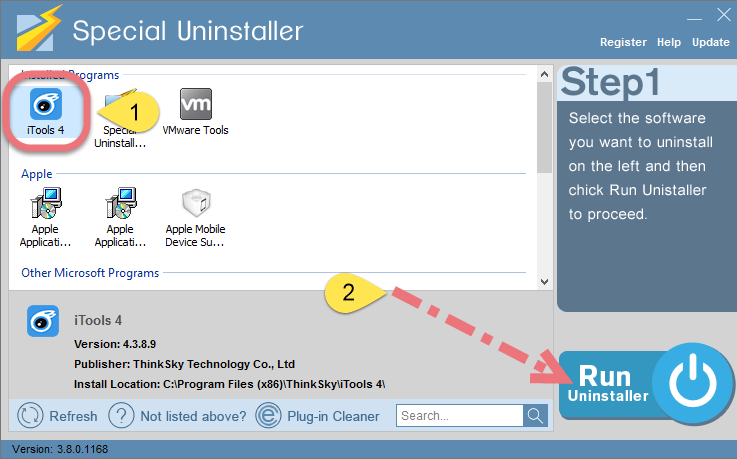 Select iTools in the Programs list, and click Run Uninstaller, follow the on-screen instructions of proceed and confirm the removal. 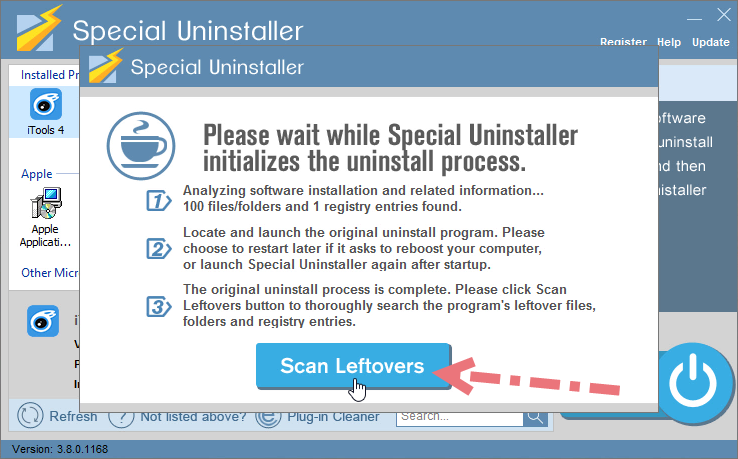 Click Scan Leftovers, and you will see a list of deleting files and registry entries (leftovers) of the program. You can review the list for details including their names and locations, then click Delete Leftovers to fully remove iTools. Clicking Back will bring you back to the list of currently installed programs, so that you can check whether the uninstall was successful. Then you can see the three bundled programs (that I mentioned at the beginning) are still in the list. If you don’t need to reinstall iTools or iTunes, you can do the same to uninstall them.